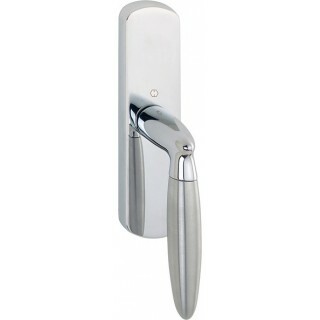 Hoppe cremonese window handle Athinai series. You need the mechanism to install it. Mechanisms available here. The hoppe cremonese window handle Athinai series is robust, thanks to solid brass construction. Available in two finishes bicolored: F49 / F69 in brushed steel with polished under the base and R-F77 / F52-R in satin gold with polishing again on the basis. This last finish is coated with a protective coating that ensures the color and surface for 10 years. 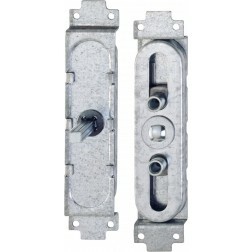 The mechanical structure of this handle is also guaranteed for 10 years.